Sarah leads Hickok Cole Creative at Hickok Cole Architects. She brings over 15 years of experience in design leadership and creative strategies for print, electronic media, and environmental graphics. She collaborates with project teams on branding and signage solutions, works on creative in-house projects, and develops graphic design solutions for clients. 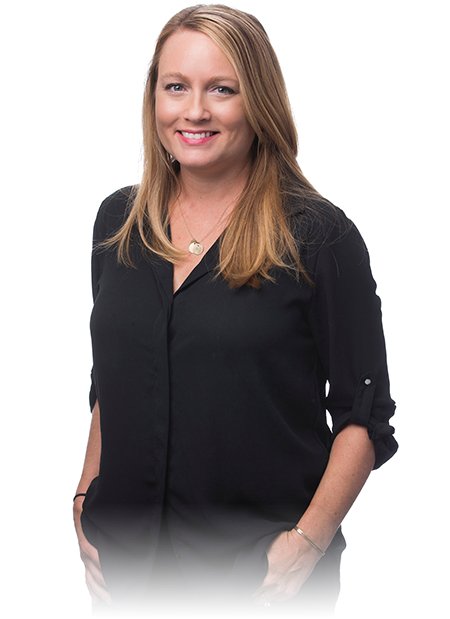 Sarah also participates in Hickok Cole’s Full Circle Committee and is a member of SEGD. Sarah earned her Bachelor of Arts degree from the University of Mary Washington with Honors in Studio Art and received the Dorothy Dreiss Koblin Award for Excellence in Digital Media. Outside of the office, Sarah designs invitations and social stationery, goes running when the weather is nice, and collects matchbox cars with her 4-year old son.